Art and nature come together as The Art League welcomes back the Washington, DC branch of The Sogetsu School for our 15th Biennial Ikebana Show. This popular exhibit will be featured in The Art League Gallery from March 6-9, 2014. 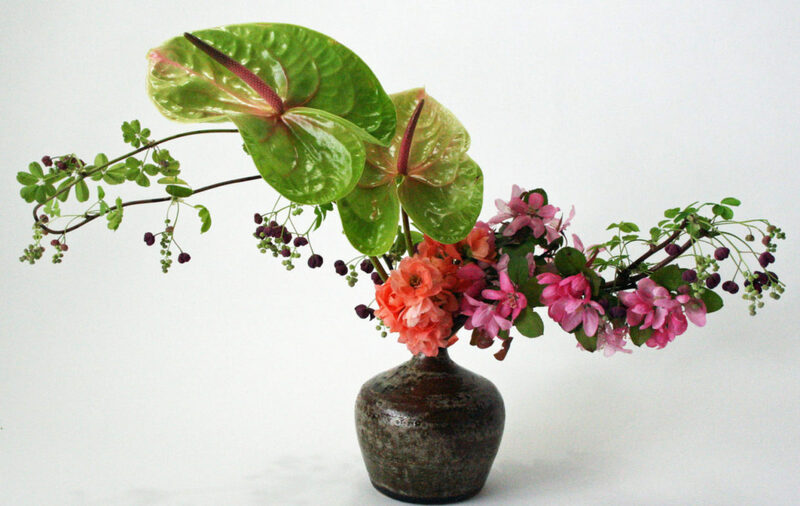 Recognized as a sculptural form of art, Ikebana, the art of Japanese flower arranging, has over 300 schools of thought. 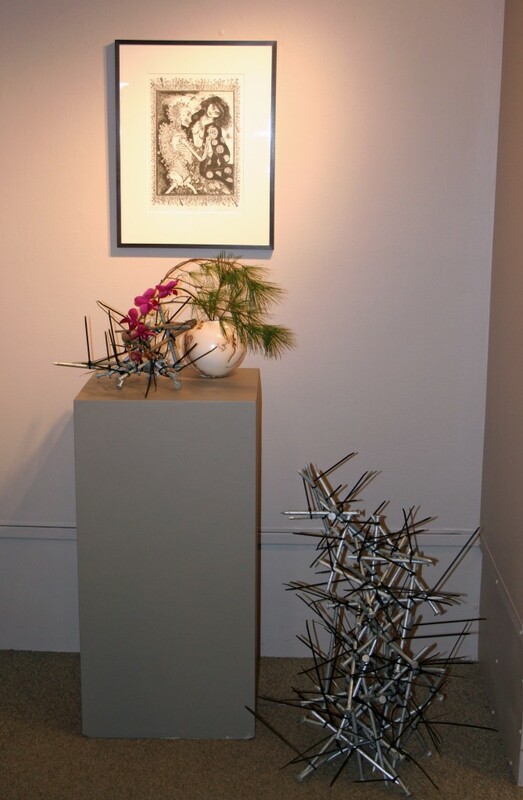 Sogetsu Ikebana is a three-dimensional artistic expression composed of flower and plant material arranged in a container. Sogetsu promotes an Ikebana of no limits, in which plant materials of any type may be used and displayed anywhere and in any circumstance. Sogetsu does not encourage students to emulate nature; they encourage students to use lines, hues, and masses provided by nature to inspire their own creations. Combining the arrangements with two and three dimensional artwork results in stunning, contemporary installations. Sogetsu members have selected works of art by Art League and Torpedo Factory artists to inspire and complete their harmonious installations. The carefully crafted compositions of art and nature create a peaceful and reflective environment in the Gallery. A Sogetsu member is present at all times, watering the arrangements as needed and answering questions about their art form. This dynamic, interactive collaboration brings fresh and calming energy to The Art League Gallery.